My friend Sheila and I traveled from Portland, Oregon, to San José, Costa Rica, last November and spent two glorious weeks in Costa Rica. 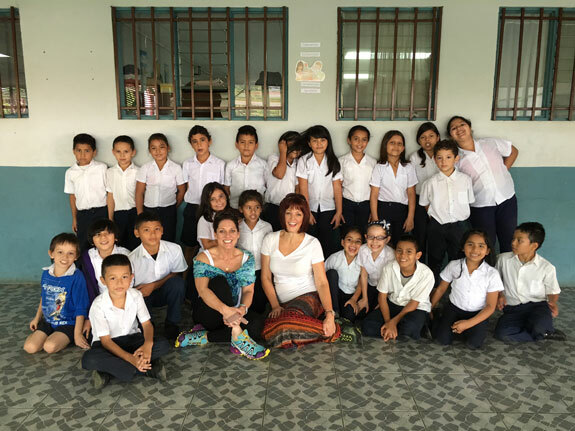 Our first stop was the school, Escuela Tuetal Sur, which is in Tuetal de Alajuela, a rural area outside of San José. 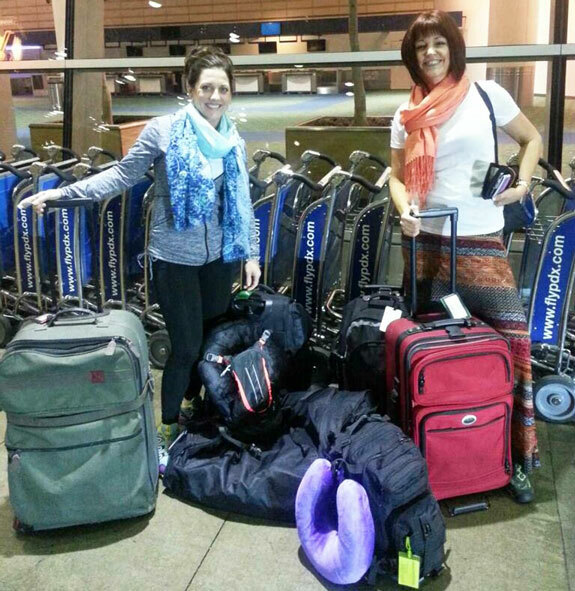 Upon arrival at the San José airport we flagged a taxi and arrived at the Escuela with many bags in tow. We were met with very curious looks from busy, happy children. 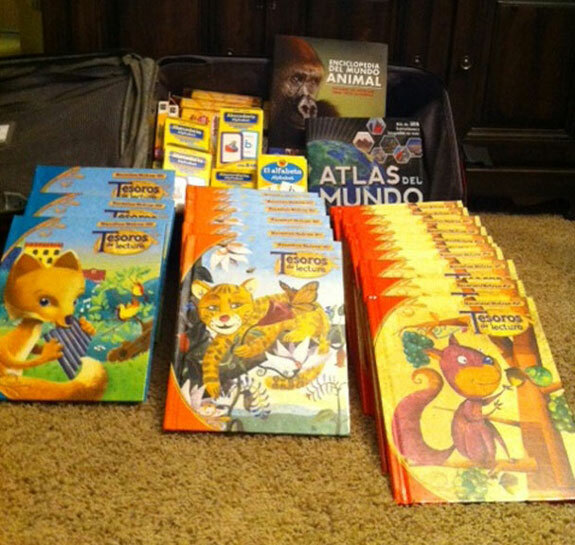 It was exciting and wonderful when the children (mostly from ages 5 through 7 years old) and their instructors learned that we were delivering approximately 120 pounds of school supplies and textbooks. Two of the staff members gave us a tour of the school, we met so many of the children, and they asked wonderful questions. Their teacher used the opportunity for them to work on their English while we were working on our Spanish. I discovered Pack for a Purpose online. It allowed me to connect via email with a hotel nearby the Escuela, the Pura Vida Hotel. Bernie, who owns the hotel, connected me with one of the instructors. Words cannot describe the joy these contributions brought to so many children. Suffice it to say we did not pack light for this trip. LOL! The children had so many questions about where we were from, if it snows there, how long it took us to fly to Costa Rica, and why my hair is red. 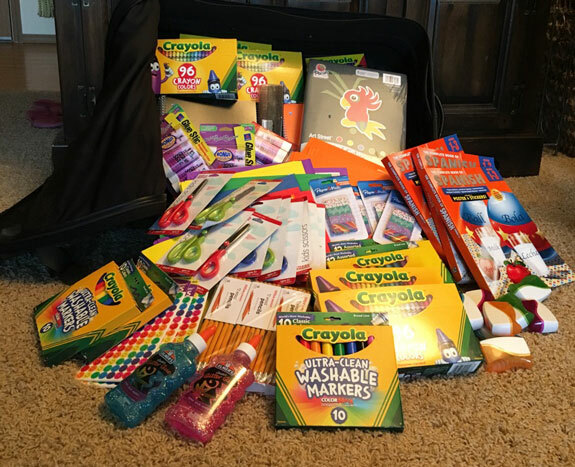 Taking so many supplies would not have been possible without generous donations from friends and family. Thank you to Pack for a Purpose founder Rebecca Rothney for all you do! It has truly been a blessed holiday season. I plan to “Pack for a Purpose” for all trips in the years to come.